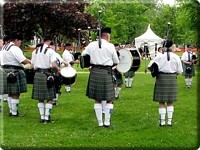 The Highland Games are festivals held throughout the year in Scotland and other countries around the world to celebrate Scottish and Celtic culture and heritage. 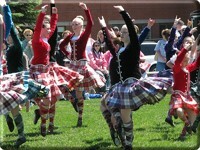 The games are rich with elements emblematic of Scotland, such as tartan pageantry, bagpipe competitions, and the caber toss. 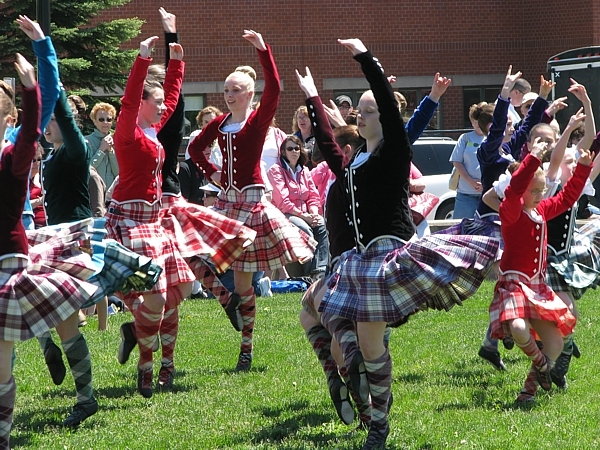 While the main focus is centered on competitions in piping and drumming, dancing, and Scottish heavy athletics, the games also include entertainment and exhibits related to other aspects of Scottish and Gaelic culture. These secondary exhibits often showcase Celtic arts and crafts, herding dog trials, and clan societies. The games have ancient origins: in order to find the fastest runner in the land to be his Royal messenger, eleventh-century King of Scots, Malcolm III, summoned contestants to a foot race to the summit of Craig Choinnich overlooking Braemar. Many pamphlets and information sites dedicated to the Highland Games cite this apocryphal event as a precursor to the modern festival. Racing, along with horse racing and wrestling, became popular and common ways to celebrate St. Michael's Day (September 29) and other feast days in the Middle Ages. During various times of English occupation, from before the Wars of Independence to the suppression following the Jacobite Risings, the men of Scotland were forbidden to bear arms for fear of another popular rebellion. Clans, however, continued to train for battle; they replaced traditional weaponry with sporting contests. The caber toss, for instance, can be traced as far back as 1574, when it was recorded as the "tossing of ye barr". Clan gatherings and other prominent features of Gaelic Highland culture had been prohibited by the 1746 Acts of Proscription, but enthusiasm for such events returned following the 1782 repeal of the Acts. The formalization of annual games began in this period as Lowland Scots of the Romantic school became infected with sentimental nostalgia for "primitive" Highland culture. 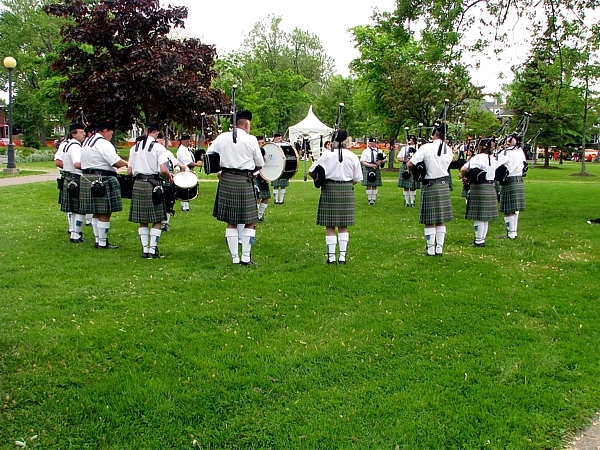 The Braemar Highland Society, which was first formed around 1826, held the first modern Highland Games in 1832, in honour of those believed to have been held centuries earlier by King Malcolm III. Ever since Queen Victoria attended the 1844 gathering at Invercauld, the reigning monarch has been the patron of the Braemar Royal ("Royal" added in 1866) Highland Society. These games are still held on the first Saturday in September, and are traditionally attended by the British Royal Family.